Renault has something Daimler needs, expertise in making small cars. 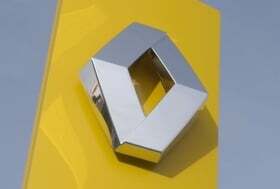 PARIS (Bloomberg) -- Renault SA's and Daimler AG's boards are holding meetings today to approve plans for a global alliance that will include a share swap, according to the French Industry Ministry and people familiar with the matter. Renault's meeting focuses on a proposed partnership with Daimler, French Industry Minister Christian Estrosi said in Paris today, according to his press office. A deal involving Renault and Japanese partner Nissan Motor Co. swapping stakes with Daimler as part of a pact to share automotive technology may be announced as early as tomorrow, said two people, who asked not to be identified because the talks are private. Automakers are under pressure to cooperate as sales remain depressed in the recession's aftermath while the manufacturers spend more on technology to meet tighter emissions rules that start to take effect in Europe by 2012. An alliance of Daimler and Renault-Nissan would follow a tie-up between Volkswagen AG and Suzuki Motor Corp. earlier in 2010 and Fiat S.p.A.'s purchase of a stake in Chrysler Group LLC last year. Daimler's board will hold a separate meeting today, one of the people said. Florian Martens, a spokesman for Daimler, declined to comment. Caroline De Gezelle, a spokeswoman for Renault, didn't immediately return phone calls seeking comment. The French government, which holds a 15 percent stake in Renault, will remain the company's biggest shareholder, Estrosi said. France will remain “vigilant” about safeguarding jobs at the country's second-largest carmaker, he added. Renault, Nissan and Daimler plan to share development costs for products including compact models, luxury cars and commercial vehicles. The companies will also swap gasoline and diesel engine expertise as well as hybrid, electric and fuel-cell technology, two people with direct knowledge of the talks said yesterday. Daimler's Smart minicar and Renault's Twingo model may share key components in the future, while Daimler's Mercedes- Benz division may supply engines and transmissions to Nissan's Infiniti luxury brand, the people said. The three companies expect to save “billions of euros” by sharing development costs as part of the alliance, the people said yesterday. A cross-shareholding underpins Renault and Nissan's existing alliance. Renault owns 44 percent of Nissan, which in turn owns 15 percent of the French carmaker. Renault bought a controlling stake in Nissan in 1999 when the Japanese automaker was nearing bankruptcy. Daimler is considering using a 3.5 percent stake it holds in its own stock to fund the potential partnership, people familiar with the situation said on March 25. The German manufacturer has been seeking a partner to help double its lineup of compact Mercedes-Benz models to four and add a larger version of the two-person Smart. Daimler and Renault said in December that they're in talks.